How the stock market works? How does the movement of stock happen on the stock market? How does the stock market react to different types of news? What types of users are present in the stock market and what type of user you are? So, for people who are looking to start their innings in the stock market, they need to know the most important thing first! Well, in a basic sense, the stock market is an electronic marketplace where different buyers and sellers meet with their own point of views and perceptions about specific stocks and the overall stock market. Now, this perception can be towards a specific stock, index or company. Let’s take a real-life example to understand this concept completely. For instance, there are two users Rohit and Bali who have been monitoring Infosys stock for a while. Currently, it is trading at a price of ₹1100. Suddenly, there was big news in the market when the CEO of Infosys, Mr Vishal Sikka resigned from his position due to some internal conflict. This thrashed the stock price of the stock by 10% of its overall valuation. Infosys, as a blue-chip stock, cannot really expect that kind of a downturn in its stock price. Now there are 2 different viewpoints here. Rohit, who is currently holding 500 shares of Infosys, sees this as a bearish trend in the days to come. He thinks that it will be hard for Infosys to see anything positive and the stock is going to tank even further. He wants to exit off his holdings at the current price before he losses out even further. He sets his stop-loss at ₹950 and will exit off all his 500 shares at this price. On the other hand, Bali is eyeing this as a rare market opportunity since the stock has not traded at this price in the last 2 years. Further, he is confident that this blue-chip stock will be back to its valuation of ₹1100 and more in 8-12 months time since this stock passed the 2008 situation as well. That is promising. He decides to go long (or buy) and places an order of 500 stocks at a price of ₹950 each. Now, since both of these users are eyeing the price of ₹950. There is a possibility that their orders get executed together where Rohit gets rid and Bali gets into the holding of 500 shares of Infosys. And this is what happens in the stock market. Based on perception, one user buys stocks and the other sells off the position. Further, this is what the stock market does. Provides an ecosystem to both buyers and sellers where they can carry out their transactions smoothly and easily. How does the Stock Market move? Now, the next important question is, how does the value of a stock go up or down. What are the factors behind all these movements, who are responsible for this? Let’s continue the same example of Infosys which was trading at a price point of ₹950. Continuing from that price point, let’s say the Infosys management comes back with a prominent face for the new CEO of the company. Furthermore, the company announces a buyback of its shares as well. Now, these two positive news certainly catches the attention of buyers and people start looking to long this particular stock again. The stock reaches and stabilises at ₹970 by the end of the next 5 trading sessions. Now, let’s say on Thursday evening Indian time, NASSCOM (National Association of Software and Services Companies), which is the trade union of Indian IT Companies releases a press statement where they confirm that the coming financial year is going to be a little tight for Indian IT Companies overall. This is because the major US giants (who are also clients of Indian IT companies) have decided to cut down their IT operational costs by 15%. This has a direct impact on the revenues of Indian IT Companies, including Infosys. If you are holding this stock or are looking to buy Infosys stocks, what will be your reaction to this news? The answer to the first question is simple. Infosys stock will see a mixed reaction since there was a couple of good news in its favour recently and this one concern will certainly impact negatively. Thus, overall the stock will be at an indecisive level. For the second question, there is a high possibility that you might want to get rid of your holdings. First, at the micro level, there have been too many things happening internally and at the macro level, this 15% reduction in potential revenue will only negate the overall momentum of the stock price. As far as the third question is concerned, overall IT companies will see some tanking as the NASSCOM news has a high potential of hitting all IT stocks pretty hard on a negative level. Thus, it majorly depends on the news around the specific companies/stocks, sectors, geographies that directly or indirectly impact the stock prices and movements. For instance, with the news of Narendra Modi elected as the prime minister of India, there was a direct positive impact on the stock market across the stocks. At the same time, when there is any news of North Korea testing their nuclear and hydrogen bombs, the market across the geographies tank. Thus, as a trader or investor, you must understand what and how news is going to impact a specific sector or stock. Once you start realizing this, your overall analysis becomes much simpler and quicker. We need to understand, at the same time, that if a specific sector or stock has no news or new information by any means, then the price of the stock is not going to see much of variance across the trading session. Thus, such stocks are not going to bring many opportunities in the market. How does a Stock get Traded on the Stock Market? The broker checks whether you have the due amount in your trading account or stock holdings (depending you are buying or selling). Once the initial check the passed, your order is placed in the queue for execution in the exchange. Once the seller/buyer available at your target price is met, your order is executed. 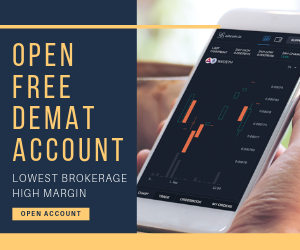 Supposing you bought 500 shares of SBI securities, these stocks get stored into your demat account as soon as the order is executed in the exchange. The person who sold you those 500 shares will have the corresponding amount reflected in his/her trading account. Post the purchase, you become a shareholder of the company with a specific percentage stake in the organization. Interesting, right? And as far as holding period of these stocks is concerned, you can hold those for a few minutes, days, months, years, decades. It really depends on your trading style and preferences. There is no right answer here. Then comes the point of calculating profits out of your trades. Obviously, you are here to make profits – long term or short term does not really matter. 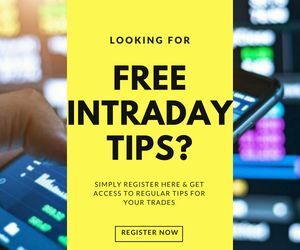 But, what is the best way to calculate your profit out of your trades so that you can understand and know on whether it makes sense for you to continue with your current style or continue at all. How to Calculate Stock Market Returns? But this is not the right way to return profit calculation, simply because the TIME factor is not considered. Now, this return of 20% for a few months or a year looks good but what if you actually made this return over a period of 4 years. Well, that won’t look attractive anymore, right? If you use this methodology instead, then you will be able to calculate the true returns on an annualized basis. This will give you a real picture of your returns and you will be able to make your judgement about your trading style in a much better way. Now among all this chaos, you also need to learn about your trading style and what kind of a stock market participant you are. The value investor, who are monitoring stocks for long-term investments but their purchase happens only when those stocks are trading at a low and still have a lot of opportunity in the future. 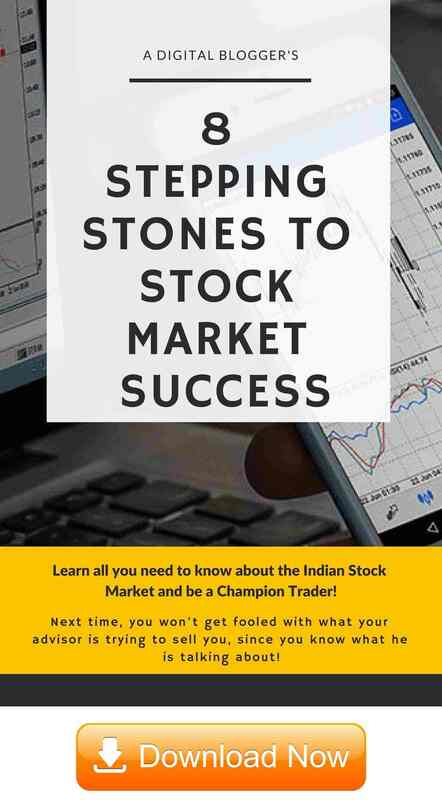 So, that is it as far as providing you with an introduction to the Indian Stock market is concerned. Nonetheless, to get started, you need to open a trading account with a stockbroker.